A dazzling smile can ignite a room. It projects strength, confidence, and beauty. Creating and maintaining a smile to be proud of is an art form and Dr. Heather Pranzarone Stratton is eager to work with you to unlock the full beauty of your smile. The ultimate goal of all dental treatment is Optimum Oral Health and maintaining the health and beauty of your smile is our mission. Dr. Heather is a Family and Cosmetic Dentist practicing with a focus on total wellness dentistry located in Shelby Township, Michigan. She is fully committed to help you look and feel your very best by providing the highest quality and ethical care in a knowledgeable, caring, and gentle manner. Our practice provides a full range of Cosmetic and Family Dentistry services for all ages. Whether your needs are complex or routine, we look forward to caring for you. Dr. Heather gladly welcomes all new patients. We offer convenient scheduling options including evening and Saturday appointments to accommodate your busy schedule. Call today to schedule a consultation and begin your journey to create the smile that you have always dreamed you should have. Dr. Heather grew up in Sterling Heights and graduated from Adlai Stevenson High School. She attended Oakland University and was accepted into the University of Detroit Mercy School of Dentistry after only 3 years of undergraduate work. Upon graduation, she received many honors and awards including: the Academy of General Dentistry Award for the Greatest Interest, Knowledge and Proficiency in General Dentistry; the American Academy of Oral Medicine Award for Achievement, Proficiency and Promise in the field of Oral Medicine; the Award for Academic Excellence and was a regular member of the Dean’s List. Dr. Heather is certified by the Northeast Regional Board of Dentistry. She has held membership in many dental societies and organizations including: the American Dental Association (ADA), the Michigan Dental Association (MDA), the Macomb Dental Society, the American Academy of Cosmetic Dentistry (AACD), the Academy of General Dentistry (AGD) and the International Academy of Oral Medicine and Toxicology (IAOMT). She has served as a committee member for the MDA Special Committee on the New Dentist and is one requirement away from becoming a Fellow of the Academy of General Dentistry. Dr. Heather has completed over 300 hours of continuing education since graduation in 2002 with emphasis on neuromuscular dentistry, cosmetic dentistry and periodontics. She is currently studying neuromuscular and cosmetic dentistry at The Las Vegas Institute for Advanced Dental Studies (LVI). Dr. Heather also began studying at The Nash Institute for Dental Learning in 2009. 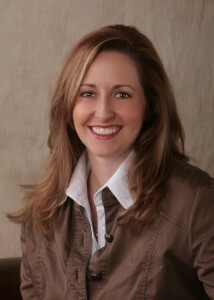 Dr. Heather has been in private practice since 2002. Dr. Heather and her family, reside in Shelby Township and are active in their community and the Secinarese Italian Club of America.